All opinions expressed are without prejudice and are the opinions of the contributor / writer. www.dramagroups.com takes no responsibility for content or accuracy of any article or response given. Please mention www.dramagroups.com when replying to notices. For the following production: "In One Form or Another"
Rehearsals Thurs eve at Blackham Village Hall near Tunbridge Wells. 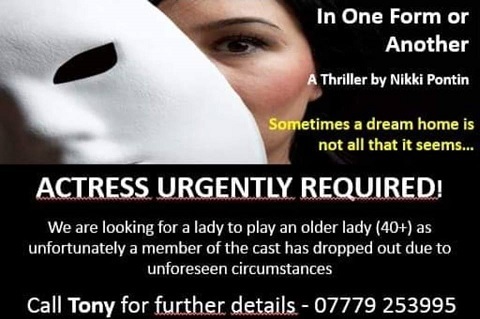 We are looking for a lady to play an older lady (40+) as unfortunately member of the cast has dropped out due to unforseen circumstances. **** EXCITING ANNOUNCEMENT **** Enjoy singing but lacking a place to perform? 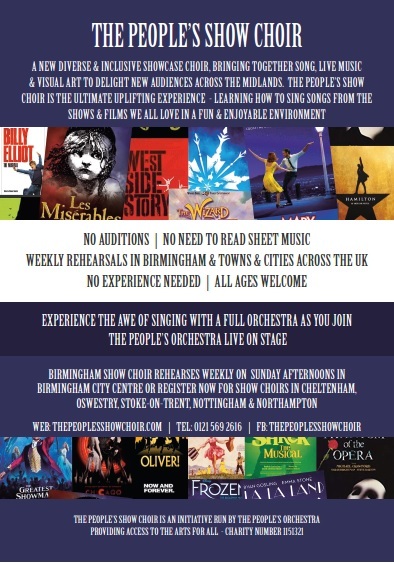 Always fancied performing but don't know where to start? Fancy making some amazing new friends? 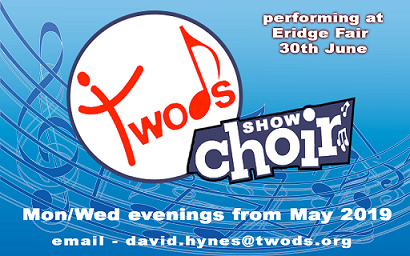 Then TWODS is the society for you as we are launching a brand new SHOW CHOIR! Beginning next month, we will rehearse and perform a varied selection of musical theatre songs leading up to our first performance at Eridge Fair on 30th June. This is an amazing opportunity to meet new people, strengthen your singing voice, raise money for local charities, perform on stage and have lots and lots of fun while doing so! To join... you will need to be a TWODS member so please email david.hynes@twods.org with any queries you may have you do so. PS. If you know someone who may be interested please pass on these details. PPS! We are always on the hunt for some more men to join our ranks. If you know someone with a decent set of pipes, please but are a little hesitant... please give them a little nudge our way! We are currently recruiting for a new entertainment assistant to join our small and friendly team, the business has expanded to such an extent further Entertainment Assistants are now required. 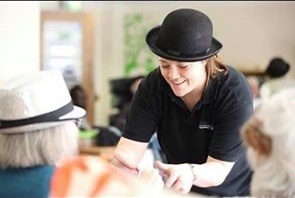 In this role you will have the opportunity to join our very talented and passionate team who travel to local care homes providing musical movement sessions, singing and pantomimes. Therefore, you will need to be a confident, outgoing individual who has a background in performing and also a background or understanding of care work. The position is currently part time, however there is potential for growth in this area and we aim to increase the hours where possible with new regular new business. You will be working on a self employed basis and will need a valid UK driving licence. A DBS check will be required. My name is Hannah Dickenson I am a second year film student at LJMU. I would like to put out a casting call for any female actresses between the ages of 18-26 interested in acting in our short 5minute film as part of our final assignment. Our film is a coming of age story that revolves around a young teenage girl who has found out that she is pregnant, and is breaking the news to her friend. We are hoping to strike a balance between drama and comedy, whilst ultimately showcasing the friendship between the two girls. We are happy to send the script over on request. Our filming dates are the 16th - 18th April and the 23rd - 25th April, and we can arrange meeting times that best suit everyone. The work would be experience based and we're happy for the final film to be used as a credit on demo reels and CV's as a copy would be sent over to you. 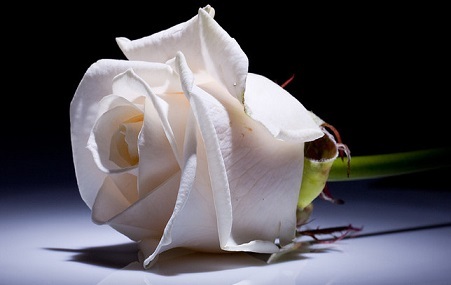 It is with deep regret that we announce the death of Derek Slater who, with his wife Pam, had been a member of CHADS Theatre Cheadle Hulme for over 30 years. He was 93 years old but, ’til the end, retained a formidable memory - not least, about the theatre and his involvement in it. Pam and he directed and acted in numerous plays with us. On top of his professional work, Derek became closely involved in amateur theatre and there will be many GMDF members (Wilmslow Green Room, Players Theatre, Heald Green Theatre Club and Partington Little Theatre amongst others) who benefitted from his very considerable experience both as a director and an adjudicator. His contribution in this regard was recognised when he was awarded the Laurence Roberts Trophy by the GMDF in 2012. His knowledge was encyclopaedic and, being directed by him, meant that every rehearsal left his cast better informed and better equipped to tackle the task before them. It was always entertaining (and, indeed, a privilege) to hear him speak - his clarity of thought and wit always shone through. Latterly, he gave talks to a variety of social groups, such as Probus, WI and U3A, on topics ranging from theatre censorship to Arthur Miller via J.B.Priestley and Charles Dickens. These talks were much in demand and invitations to speak were constant - a testimony to his ability to hold an audience. Over many years, he - and his productions - won numerous awards. He remained involved in organising and directing literary events well into his 90s having directed his last full length play in 2016. As he once said, “..there is something hypnotic about a play script - the moment you start to read it, you begin to imagine what it would take to turn the dry text into live performance.” He could never resist such a challenge. He loved to socialise with fellow theatre addicts, and had a fund of stories, anecdotes and jokes which he was only too happy to share if encouraged! His contribution to amateur theatre was huge. He will be greatly missed by many. Derek’s funeral will take place in the Rowan Chapel of Stockport Crematorium on Thursday April 18th at 10.45 with a reception afterwards at CHADS Theatre on Mellor Road Cheadle Hulme. Following on from their success with ‘Rage Tears and Cider - Peace Day 1919’, Taboo Theatre Company are currently working on a new production, ‘The Miller’s Tale’ (working title) to be performed at Sturminster Mill on Sat 29th and Sun 30th June. 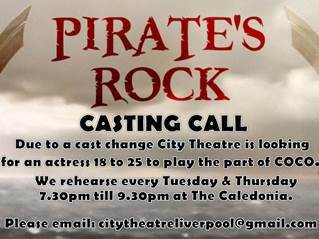 We have a vacancy for a female actor, playing age 20-40, for a significant part in this production. Rehearsals will be Monday and Tuesday evenings throughout May and June, with a couple of improv sessions in April. Attendance to every rehearsal not vital -however there may well be other rehearsals arranged between the actors as we progress. Unfortunately this is unpaid work, however it is an opportunity to work with an emerging community theatre company that has a growing reputation of creating innovative and challenging new works. If you fit the bill and are interested please get in touch ASAP. Want to get paid as a film and TV extra? Uni-versalEXTRAS are holding an open registration day in Bristol, Somerset for people to register as extras for free. Based at Pinewood Film Studios, our recent credits include Solo: A Star Wars Story, Fantastic Beasts and Mary Poppins Returns. 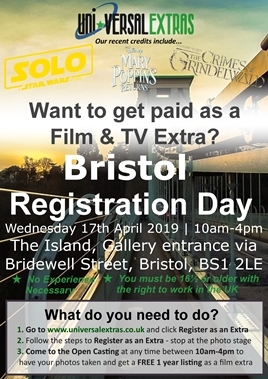 Registration Day in Bristol on Wednesday 17th April 2019! 3. Attend the event at any time between 10am and 4pm to have your photos taken and to get a FREE 1 Year Listing with Uni-versalEXTRAS! What happens at the Registration Day? We will take your photos so that we can cast you in suitable roles as an extra for film & TV productions in your local area. Can’t make the Bristol event? We are also visiting Cardiff. We look forward to seeing you, your family and your friends! You can visit our website www.universalextras.co.uk to see just some of the productions we have worked on. We are seeking four male actors between the ages of 30 and 65 for the roles of Thomas Putnam, Ezekiel Cheever, Francis Nurse and Reverend Hale for our forthcoming production of The Crucible in South Manchester. The Brook Players, based at Copdock Village Hall, Copdock near Ipswich are looking for additional members! A cup of tea/coffee and a warm welcome guaranteed! 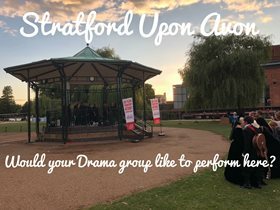 We’re looking for theatre groups willing to perform (any) play at a charity event in Stratford Upon Avon on Saturday 27th July. Uni-versalEXTRAS are holding an open registration day in Cardiff, South Wales for people to register as extras for free. Based at Pinewood Film Studios, our recent credits include Solo: A Star Wars Story, Fantastic Beasts and Mary Poppins Returns. 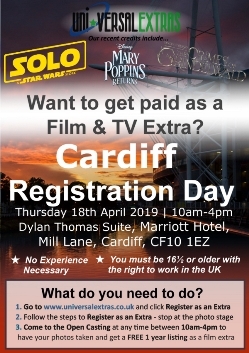 Registration Day in Cardiff on Thursday 18th April 2019! Can’t make the Cardiff event? We are also visiting Bristol. VOICEOVER AD – we need 4 actors to do the voice overs for a 1 minute Youtube ad. Would require travel to Grantham, best if you can do multiple different voices. The characters for this are: male 30’s +, male and female in their 50’s and woman 25+. We’re flexible with the ages to some degree. LONGER YOUTUBE SERIES – one or two actors to star in longer Youtube series to be posted to our channel. Need to be available both days above and comfortable in front of the camera. Please email eroberts@khaoscontrol.com with your CV and a sentence about yourself, as well as your rates. The videos are corporate, if we could get rates per hour that would be best. I am Tamas Somogyi, a second year VFX student at MMU. I am working on my final year project, a CGI short film, and am currently seeking for an actress and actor to provide the motion capture. I am mostly interested in young actors who are happy to expand their skill set and gain a lot of experience in working on a sci-fi short. The film will be approximately 15 minutes long, 10 of which includes the actors, and it will filmed during this summer. You have the unique opportunity to star in a CGI sci-fi short film, providing motion and performance capture to digital characters. This is an excellent opportunity to broaden your skill set and add to your portfolio! I am looking for a female and male lead, who are passionate about acting and are willing to put the time and effort into this 10 minute long short film. You will bring an alien character to life (think of Neytiri from Avatar), who is lively, strong and charismatic. You will learn 28 sentences in a fictional language, speaking it as if it were your native tongue. You will provide motion capture for an A.I. robot (think of Sonny from I, Robot), an emotionless, calculating machine (not evil), doing what it was programmed to do (making contact with alien species). 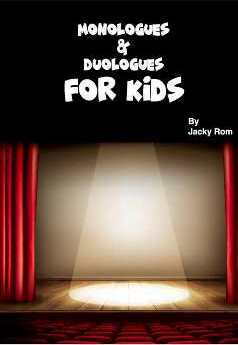 You will also offer narration in English and learn 25 sentences in a fictional language. It is vital for you to be able to spare the time from May until August to learn and practice on a regular basis as the project will heavily rely on your performance. Please only apply if you are certain that you will have the time. The short film is part of a VFX student’s dissertation, thus it is a non-profit one. However, you will leave with a very fun experience and an exceptional addition to your resume, giving you a great advantage. Casting will start on the 15th April, make sure you send your application by then. You will be informed about the result by the 15th May. A complete brief of the story and production plan will be given during casting, nonetheless, if you have any questions, feel free to ask. Send your application to tamaswright3d@gmail.com with a brief introduction (3-4 sentences) and why you would like to take part. Best of luck! City Theatre is looking for an actress 18 to 25 to play the part of COCO. We rehearse every Tuesday & Thursday 7:30pm till 9:30pm at The Caledonia. I have a thriving drama business, Pyjama Drama Three Counties, which I have operated for five years. Due to a change in family circumstances I wish to sell this fantastic business to the next Pyjama Drama star. Could this be you, or a friend? Pyjama Drama is a franchise business with a programme of creative play classes for children aged 6 months to 7 years. The programme has a national network of franchisees and has had a solid track record for the last ten years. I have a thriving, profitable business with a fantastic ready-made customer base in nurseries and public classes and am well established in this area. I lead classes in eleven nurseries and local schools, working part time and during the school terms. I also lead holiday classes and birthday parties so there is considerable scope for shaping the business to fit a lifestyle and to structure your working week. The business is fun, flexible and fulfilling. To make a success of Pyjama Drama you need to be energetic, imaginative and hard-working, but in return you’ll get the chance to have a job that is creative and rewarding whilst being your own boss. You will also be able to earn a great income and have control over how your business develops. If you would like to have an informal chat and find out more please contact me on 01428 788522 or email me at sarahsear@pyjamadrama.com. If you know of anyone who might be interested, then please share my details and spread the word about this brilliant local creative opportunity. We are looking for Women in their mid-20s to mid-30s to make a short clip for our new Ad campaign. The Ads are for Housing disrepair claims. The Ads are around 30 seconds long. We will be paying each person £75 for participating. All they have to do is record themselves in selfie mode reading the scripts below. “Are you being ignored by your landlord? If they haven’t attempted to make any repairs, you could be owed £1000s in compensation. This script needs to be read 2 times one with Click the link below at the end and one with swipe up to start your claim. “Council and Housing Association tenants listen up! If you’ve complained to your landlord about damage within your property such as damp, mould, roof damage or water leaks and no repairs have been made, you could claim up to £10,000 in compensation. So we would require each person to make 4 short clips, 2 recording for each script. I am directing a short film in the following week and due to my main actors suddenly becoming unavailable at last notice, I am looking for two new actors willing to fill these roles and am wondering if there is anything you could do to help me. We intend to during the weekdays of next week. Comeuppance is an original short drama produced by Amy Balmer. Comeuppance is a deeply human story about a chance meeting on a bus between two unlikely strangers who both share a dark secret. I wrote the film herself and am seeking to develop my career as a an upcoming director for film and TV. I require a young teen of any gender between the ages of 14-19 and an elderly woman between the ages of 60-80. If you have any questions please don’t hesitate to ask and I can send the script if needed. I am looking for extras (mob of survivors) to take part in my short film 'Bread and Circuits' which is being filmed at Zombie Bootcamp, Rushock, Droitwich Worcestershire on the 4th April from 10.00am until 5.00pm. The film is based upon the role of A.I in an apocalyptic setting. I am happy to pay reasonable expenses and travel costs. Sandwich lunch will be provided. My name is George Norgate, I'm a screenwriter and director from Londo I am shooting a comedy short film on a beautiful farm on the out skirts of Polegate. I'm looking to cast a male actor between 35-45 years of age to play a Conservative farmer and I was wondering if there of the local amateur dramatic groups may have actors interested. This is a small film so unfortunately we haven't got the funds to pay, however food and transport will be covered. We obviously have the option to have actors from London but I thought it would be a great opportunity to have a local actor involved. Bowhouse Amateur Dramatics are looking for adults who have an interest in acting or stage production and would like to be part of their fun, relaxed group. We are holding a circus event at Cineworld St Neots to launch the new live action remake of Dumbo. I am looking for someone who can juggle and someone who can make balloon models to partake on the 30th and 31st of March, between 9.30am and 11.30am both days. Now I am unable to pay the performer/s for the event but they will have food and drink supplied and gifted two cinema tickets each for each day they work. If anybody is willing to do the above, please let me know asap. My other question is whether anyone has any clown / circus themed costumes we could borrow for the team of 5 we have running the event? As well as the costumes I am desperately on the hunt for some white or red or red and white stripped curtains/ sheets to act as a backdrop against the walls to create the illusion of being inside a tent. Does anyone have anything I could use for this? If you can help with any the above, please let me know asap. 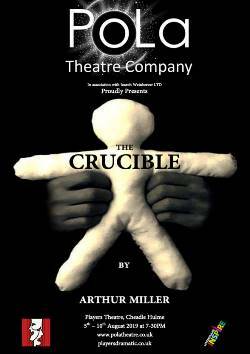 PoLa Theatre Company are seeking four male actors between the ages of 30 and 70 for our forthcoming production of The Crucible. 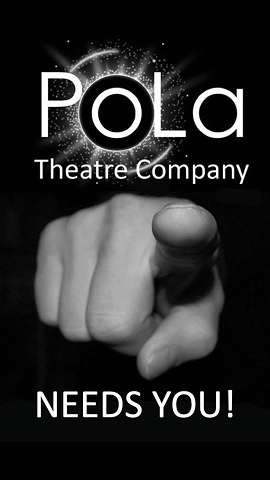 The production runs 5th - 10th August at the Players Theatre, Cheadle, Manchester. I’m casting for a short film, shooting in Bournemouth, and we are looking to fill several roles. If you know of any actors who fit the following criteria and could pass on the information we would really appreciate it. A brief synopsis of the film: 29th of July 1966, 14 year old Bobby is training to work at his family owned hairdressers. He cuts his fathers hair haphazardly, whilst being lectured about the ideals of his Chinese heritage, and how he must carry on his family legacy as a barber. Set in the backdrop of the World Cup Final and the rise of the Red Guards under Mao’s China, Bobby feels trapped between the trends of East and West, feeling confused as to whether he belongs. He attempts to find a culture that he can subscribe to without being influenced by his parents beliefs. We will be shooting in Bournemouth. The roles are unpaid however we will be able to cover the costs of transport, accommodation, and food throughout the filming period. The shoot dates are the 15/16/17th April 2019. PQA BURY ST EDMUNDS LOOKING FOR INSPIRATIONAL, EXPERIENCED, AMAZING TEACHERS FOR THEIR NEW SATURDAY SCHOOL OPENING IN MAY. Hi, The author of this poem is seeking a drama team to create this as a play. This poem was created by a poet that found his greatest art in the darkest and worst place of his life. I am producing a short film written and directed by Melkorka Hafsteinsdottir. 'Skating By' is a short feminist, drama film following a young figure skater and the star hockey player who's relationship soon takes a dark turn. The film shows the real life issues of victim blaming. We are in need of a Caucasian male to play the role of a 28-45 year old police officer. Not paid but catering will be provided and some travel costs. It’s a great opportunity for young aspiring actors to gain experience in unique character roles. Also a chance for exposure as film will sent to local film festivals. The filming will take place at Leeds Arts University. Filming will be around 18th - 24th of March. Only one day will be needed in that week. We are with Leeds Arts University. Practical tuition in acting, stagecraft and script analysis. Whether it's to improve your existing skills or to try out something new, these classes are suitable for anyone with an interest in 'treading the boards'. Evening and weekend places available. Highly effective and great fun. Potential for further acting opportunities in future Rural Redemption Theatre Company productions. Classes run by Craig White MA, BA (Hons), Dip CTA, Director of Rural Redemption Theatre Company and graduate of Rose Bruford College of Speech and Drama. For full details please get in touch via Facebook or by emailing ruralredemptiontheatre@gmail.com or calling 07814 876254. 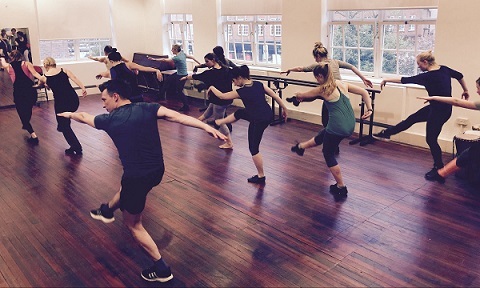 We are delighted to announce the launch of the BROS TC ACADEMY, a new programme of Wednesday night workshops that encompass all the things we love about musical theatre! The committee is keen to add to the existing offers of socials and discounted theatre trips, and now every member can directly benefit from their annual membership fee, whether cast in a show or not. So, the idea behind BROS TC ACADEMY is to offer to all members, both active and resting, the chance to hone your stage (and backstage) skills and learn some new ones too; to give you confidence and improve your knowledge and stagecraft, make our shows even better than before and support people into future production and creative roles. The regular workshops will be FREE to members and will cover the three key disciplines: Music, Dancing, Acting. We may run smaller, special interest workshops such as ‘How to be a Producer’, or bring in outside specialists for a one-off workshop such as ‘Musical Improvisation’. These other specialist workshops will be offered on an occasional basis. The intention is that there will also be some performance opportunities during the course of the year for anyone participating in the BROS TC ACADEMY who would like a chance to show off their new talents! So keep an eye on your inboxes and on our social media platforms over the next few days for further news on this new and exciting venture for BROS TC and to book onto our inaugural sessions starting on Wednesday 27th March! Urgent casting call for "Beyond the letter box"
"Beyond the letter box" is a short film project is about a brother and sister who are left on their own for what feels like a lifetime, yet in reality is a short few moments.This is a great opportunity for a lead role for an aspiring young actor to gain experience and build a professional network.Catering and travel cost are covered although the role is unpaid.Successful applicants will be credited, receive a copy of the film, and gain exposure through short film sites and short films festivals. Cameron is the older brother of sister Mabel, A fun loving child. He is seen to take charge when the two are left alone. Males, aged 7 to 11. Mabel is the younger sibling; she is cautious and more innocent yet inquisitive. Females, aged 4 to 7. The filming will take place in Leeds, between 16 – 17 of March. We are a bunch of passionate filmmaking students from Leeds Art University with good understanding of the art of film. I truly believed this is a good film in the making as everyone who's been a child themselves will most certainly find this film highly relatable. We've got a ideal location to film in, a great crew and all we need is two actor and actress who's willing to step up for this two roles. Fish Quay Productions are an amateur theatre company in North Shields, Tyne and Wear. We are looking for more members-actors and technical crew. Female aged between 22-30 years and should have proper pronounciation in Bengali. 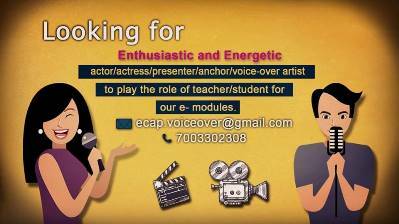 actor / actress / presenter / anchor / voice-over artist to play the role of teacher / student for our e-modules. Hotel Balderdash is a murder mystery short with a horror twist. Based in the historically steeped bar of Hotel Balderdash, this short film focuses on four potentially guilty suspects after the Hotel’s owner, Mr. Balderdash, is murdered. Through a series of flashbacks and an intense standoff, it is finally revealed who the true killer is. The shoot is based at the Hale’s Bar in Harrogate. This will consist of night shoots throughout March. Transport will be covered along with accommodation if necessary. Shooting dates: 17th/18th/19th March, 25th/26th/27th March, 31st March/1st April. Character Desc: Potsworth is a diligent employee of Mr. Balderdash. Worn from years of manual labour under the careless watch of his employer, the once loyal friend now despises his every fiber of being. We’re looking for an actor that is able to portray Potsworth as a blunt barman who’s diligent hard work has failed to pay off. Despite his dislike to Mr. Balderdash we require an actor with the skills to create both empathy and suspicion in his relationship with the audience. Character Desc : Lemon Honeypot is a beauty of a woman, although her jet set lifestyle has finally began to catch up with her, she still oozes elegance and sophistication’s with a sharp tongue to match. The epitome of Hollywood glamour; Lemon has long golden hair with piercing eyes and a slim build. We need an actress that is able to mix fun and flirty with someone who possesses an ulterior motive. This is a prominent leading female role, although the actress must hold her own she will also need to work well in an ensemble group and have the freedom and responsibility to make the character their own. Character Desc : Isaac Featherstone is a nervous, Woody Allen-type, jittering and edgy. He wears glasses with parted hair on a sweaty forehead. Now a disgraced journalist, Isaac is rarely seen without his typewriter, desperate to find his next big break. We’re looking for an actor that is able to portray Isaac as awkward and slimey, with the ability to display ambiguity in regards to Isaac’s innocence due to his unpleasant personality. Character Desc : Mr Balderdash is the larger than life owner of the infamous Hotel Balderdash. With business dwindling due to a mysterious killer on the loose, it appears that Mr. Balderdash will stoop to any low level to save his hotel. Mr. Balderdash is a jolly man that possesses a total lack of disregard for his employees. His murder is the catalyst for a series of stand offs and flashbacks that eventually reveal his true killer. If anyone is interested please email uglybugproductions@gmail.com and I’ll happily send the script over! 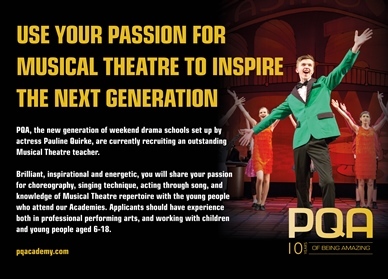 The Pauline QUIRKE Academy of Performing Arts is opening a new Academy in CLEETHORPES and we are looking for PERFORMING ARTS TEACHERS. 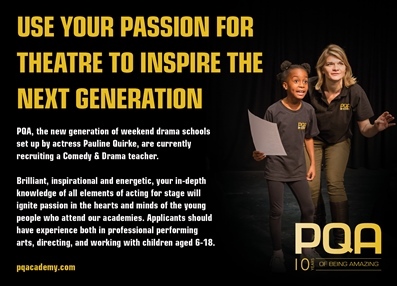 Brilliant, inspirational and energetic, you will instill your passion for the performing arts into the hearts and mind of the young people who attend our academies. Applications should have experience both in professional performing arts and working with children and young people aged 4-18 years. Positions are currently for a minimum of 3 hours on a Saturday morning. Manor Hall Variety Group needs you!!!! We are a small friendly group who enjoy organising & performing shows, variety nights, murder mysteries, quizzes & band nights. We have fun together raising money for local charities. Why not pop in and see what we do? Everyone is assured of a warm welcome, no talent required, just enthusiasm! If you don't fancy acting or singing then what about front of house, backstage with sound/lighting, props, costumes or even directing? We meet at 8pm on a Tuesday, mostly term time. We'd love to see you!! A NEW DIVERSE & INCLUSIVE SHOWCASE CHOIR, BRINGING TOGETHER SONG, LIVE MUSIC & VISUAL ART TO DELIGHT NEW AUDIENCES ACROSS THE MIDLANDS. I am a local playwright based in Congleton searching for several male actors to perform in my latest one-act play Calamus and Cinnamon, the world premiere of which will take place on 9th and 10th May at The Old Saw Mill in Congleton, and I am putting out a casting call to amateur theatre groups in the area. Set in 1636 in the reign of Charles I, the action revolves around the travails of a female apothecary Afra Southwood in a small English parish. The themes treated in the play are much the same as we encounter today: illicit love, prejudice, greed, immigration, plus an accusation of witchcraft! 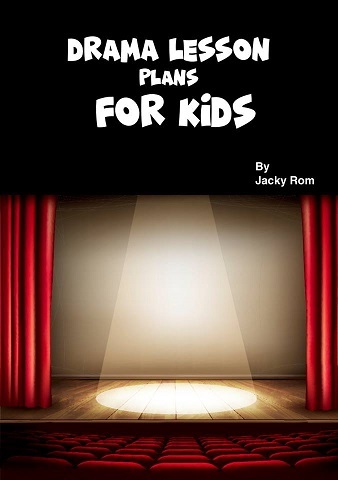 The opportunities to give new drama an airing are few and far between, hence the decision to go ahead and put on the play under my own direction in a manageable community venue. I require one male actor for the apothecary’s brother-in-law and love interest, Benedict Southwood, age 30 to early 40s, and another to play bullying church sideman, Seth Brodie, age 40 upwards. The ages are flexible as long as the actors look and sound right for the part. The running time is one hour. I can supply a more detailed synopsis, full list of players and a copy of the script, if required. Please contact me for more information on 07929 111 035 or email diane@diane-cook.co.uk. Many thanks for your help. I'm working at a TV production company and we are looking for people to submit ideas for TV shows of all all genres! You could get your ideas in front of industry experts and pitch your fresh formats as part of an exciting new pilot for ITV and could even get your show made! 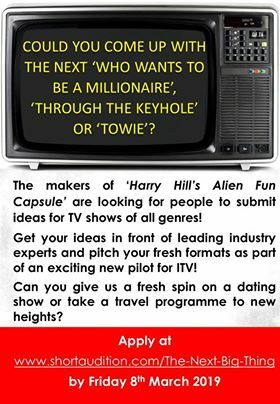 Have you got a brilliant idea for a TV show? Then get in touch for the chance to have it made into the real thing! Apply at shortaudition.com/The-Next-Big-Thing … to be considered! The Roles of Ivy and Ken in our TV drama production "Shell Phone"
My name is Jack and I am a university student from Cheltenham in Gloucestershire studying TV Production. We are currently looking for two actors to play Ken and Ivy in our TV drama "Shell Phone". This is an acting opportunity! And this is your chance to get stuck in and do a passion you love! As a group of university students from Gloucestershire, we are looking for a Male actor to act the role of Ken, in which Ken needs to be on a beach for location and as described below for a drama production we are producing called "Shell Phone". We are also looking for the role of Ivy but we need to use a bungalow as a location and if anyone is up for it that would be great. One day's worth of filming for the role of Ken will be located on a beach around the Weston-super-Mare area. Most likely either Brean Beach or Weston Beach . The other day filming will be located in a house in a bungalow (depending if anyone here in the group has a bungalow) and that will be for the role of Ivy. If interested or anyone you know would be interested, please email either myself to jackedwards@connect.glos.ac.uk, ring my number at 07784627269 or email the contacts listed below. We are looking for a female actor to take the role of the lead character 'Nicole'. A young shy figure skater who’s innocent and insecure. Acting age:16-18, Caucasian, Ideal if can skate but not necessary. Leeds based. Filming will be around 10th to 18th of March. We are with Leeds Arts University. 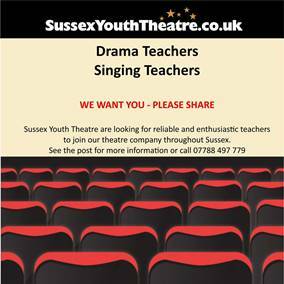 Sussex Youth Theatre are looking for reliable and enthusiastic teachers to join our theatre company. We also offer Lamda Courses, Workshops, our own Management Company and lots more so we need extra people to join our team. Please apply in the first instance to mitch@sussexyouththeatre.co.uk with your C.V or Biog and current availability for evenings and school holidays. Informal interviews will be held on Saturday 16th March and Thursday 21st March in Worthing. Do feel free to re-apply if you have been in contact with us before. We look forward to hearing from you! 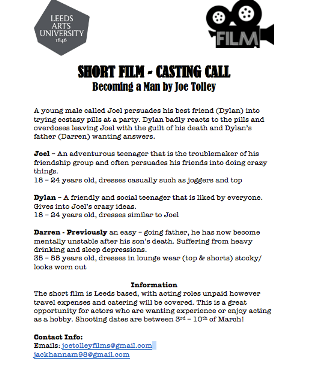 The short film is Leeds based, with acting roles unpaid however travel expenses and catering will be covered. 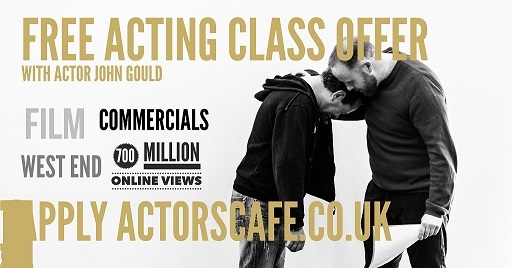 This is a great opportunity for actors who are wanting experience or enjoy acting as a hobby. A young male called JOel persuades hisbest friend (Dylan) into trying ecstasy pills at a party. Dylan badly reacts to the pills and overdoses leaving Joel with the guilt of his death and Dylan's father (Darren) wanting answers. I am a student studying TV Production at the University of Gloucestershire and am in the process of making a short 8-12 minutes comedy with my team. We are currently casting actors and actresses for this film and would need them to be available on either the 14th & 15th March or 18th to 24th depending on which character they audition for. I have all information you may need (script, character breakdown, call sheet).